Texas State graduate student Sara Shields experiments with virtual reality at the TXST Innovation Lab and Reception. This piece is co-authored by Sara Shields and Becca Silvas. South by Southwest (SXSW) Interactive is one of the largest and most diverse events focusing on digital creativity and technology innovation. Located in Austin, Texas, the conference is well established as an incubator for the digital media trends of tomorrow. Media professionals from around world came together March 11-15 to discuss and discover the technologies that will influence our digital futures. As programming projects become more complex, managing digital products has emerged as an important role in many organizations. The SXTXState project has covered the SXSW Interactive Festival for the past nine years. An initiative of the School of Journalism and Mass Communication at Texas State University, the team of five graduate students covered all aspects of the conference on a website and through social media. SJMC faculty and SXTXState alumni also attended and contributed to the website that features preview interviews with panelists and on-site event coverage. Becca Silvas and Candice Brusuelas cover a panel session on bots. Photo: Cindy Royal. As a student-led, collaborative project, each contributor held a specific role as well as provided overall coverage. Content editor Becca Silvas devised the content calendar and was in charge of editing and publishing content to the website. Web designer Sara Shields designed all graphics for the project and redesigned the website. Special projects manager Candice Brusuelas contributed to strategy on Snapchat and additional video content. Social media team leads Josh Morrison and Andrea Alvarez conceived and implemented social media strategies to reach audiences on Facebook, Twitter, Instagram and Snapchat (@sxtxstate on all platforms and #sxtxstate hashtag). From Snapchat stories of virtual reality wonders at the trade show to Twitter video of This American Life’s Ira Glass making a balloon animal during his panel session, the SXTXState team told stories on the most current social platforms being discussed at the event. They also used cutting-edge tools including Slack and WhatsApp for communication and productivity. 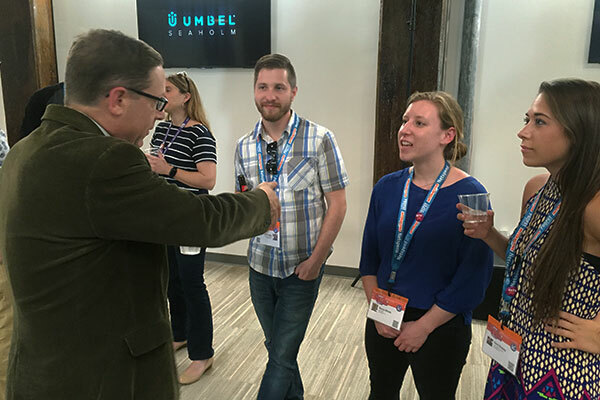 SXSW Interactive consistently offers a sneak peek into the future of media innovation. At the conference, the SXTXState team discovered themes relevant to the future of journalism and digital storytelling as they learned about the latest emerging technologies and interviewed many professionals and experts in the field. Several of the sessions were recorded, so follow the links to listen to entire talks. Many media companies have started to publish directly to social media platforms. “The news lives where you live, and that is on social media,” Versha Sharma, managing editor at NowThis Media, said. The panel, “Making Distributed Content Work in News,” discussed the many opportunities for publishing directly to media platforms. Justin Ellis, senior editor at ESPN Magazine, explained that many of these platforms already have big audiences, making social an increasingly effective way to reach viewers. With virtual reality expected to be the breakout technology of 2016, it’s clear that the most innovative news media can and should jump at this opportunity. Virtual reality has become a new way to immerse audiences into a news story, and the New York Times is also experimenting with the possibilities for investigative reporting on a virtual reality platform. At the session “New York Times Reality Through VR-Tinted Glasses,” Mark Thompson, president and CEO of the New York Times, pointed to the incredible opportunities for VR. Bots are making it easier for data journalists to find and report compelling stories. The hardest part of working with large data sets is pulling meaning from thousands of numbers and figures. In the session, “RoboPresident: Politics in an Algorithmic World,” Meredith Broussard, assistant professor of journalism at New York University, discussed Story Discovery Engine, a bot tool for crunching data and making visualizations. Bots, such as Broussard’s project, are designed to ease this process by producing data visualizations to trigger journalists’ natural creativity and bring the reporter to an idea for an investigative piece. The ability to analyze data and act on it is becoming more important to businesses. Many companies and brands have harnessed the power of data. At the “How Data Is Impacting Music Festivals” panel, Joah Spearman, CEO of Localeur, explained how music festivals have used data to make better decisions in all steps of their process. “To understand how data can be utilized, I think it’s important to understand what data we’re talking about. Data is information that can be gathered and leveraged to enhance products, services and user experiences,” Spearman said. Businesses who utilize data are able to make their products and service offerings better for their users and give them a better experience. 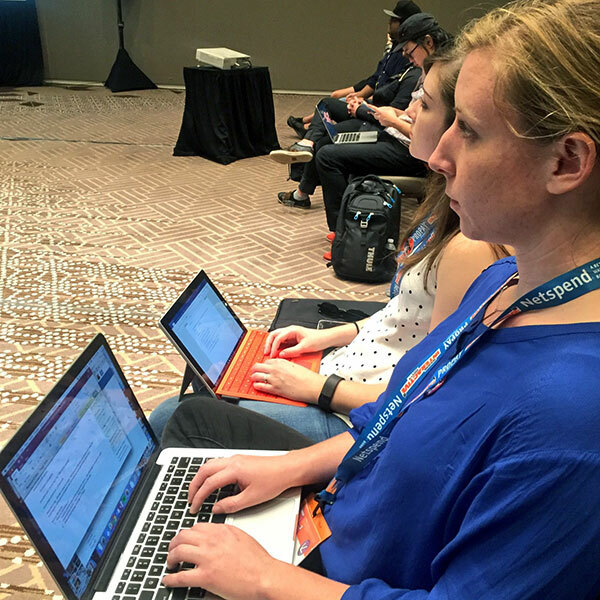 Several participants were able to also attend SXSWEDU, the segment of the festival focused on education. An overriding theme was the importance of teaching computer programming in schools, with panelists recommending that coding education be taught in a relevant context, in areas like dance or sports. “Introduce young people to coding based on interests they already have,” said Eric Schilling of the MIT Media Lab at a session on teaching the Scratch programming platform. As programming projects become more complex, managing digital products has emerged as an important role in many organizations. In his talk, “Yes, Designer. You, Too, Can Be a Product Leader,” Shay Howe, director of product at customer loyalty platform Belly, said, “Great products take more than just good design. Product managers and designers both care about solving problems and building excellent products.” He identified product leadership as the intersection of design, engineering and business, making it a relevant area to explore as it relates to digital products in news organizations. Becky Larson speaks with U.S. Chief Technology Officer Megan Smith after her panel session. Photo: Cindy Royal. Students spoke with Texas Tribune Editor-In-Chief and CEO Evan Smith about his SXSW interview with President Obama. Photo: Cindy Royal. Students also were in attendance at sessions that featured high-profile speakers including Wikipedia founder Jimmy Wales, U.S. Chief Technology Officer Megan Smith and the much anticipated interview with President Barack Obama. In addition to event coverage, Texas State graduate student and past SXTXState project participant Becky Larson used an Independent Study course this semester to create her own tool to help select Interactive Panels based on interests, the Interactive Panel Advisor. The team also took part in the first ever Texas State Innovation Lab and Reception and hosted a Taco Party for visiting guests. 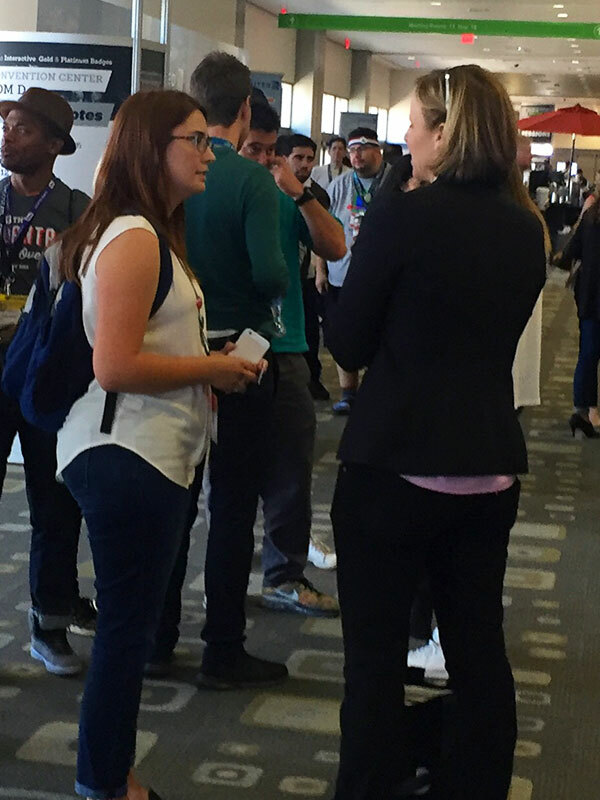 There is immense value in this project, as students not only get to hear from the most innovative professionals influencing the technology environment, but they get to meet with them, interact with digital platforms and become part of the SXSW community. The final project of the class that students are now developing are their own SXSW panel proposals for 2017. Visit SXTXState.com to explore the full coverage of SXSW 2016. Sara Shields is a graduate school studying digital media at Texas State University. She earned her Bachelor of Science degree in mass communications with an emphasis in public relations and a minor in art and design in 2015 at Texas State. Sara is currently a graduate teaching assistant for Web Design and Fundamentals of Digital and Online Media undergraduate courses. In her free time, she does freelance videography, web design, and graphic design – just a few of her passions. Sara loves to travel and has a huge heart for animals. In the summer of 2014, she was the social media intern for the graduate college at Texas State University. All the opportunities she has experienced have reinforced her passion for the creativity of communication. More information can be found at sara-shields.com. Becca Silvas is a second year graduate student studying global media at Texas State University. In 2014 she earned two undergraduate degrees from Texas State: one in International Studies and one in Spanish. Her passion for travel and international issues has taken her across the globe. In the summer of 2015 she studied abroad in France and the U.K. and held a public affairs internship at the U.S. Embassy in London. Becca is currently a digital media intern at PR By the Book in Austin, Texas. She is also a graduate teaching assistant in the School of Journalism and Mass Communication, teaching lab sections for the Fundamentals of Digital and Online Media course. More information can be found at beccasilvas.com.